“This place is great, reasonable and honest. Owners Byron and Tammy are hands-on and care about their customers…I send them all my customers that call and are in their area. This shop has factory scanners and tooling. Most shops don’t”. At Johnny’s Auto Service, we are constantly investing back into our business with top of the line equipment. The industry is constantly evolving, and we believe we need to as well! Thank you for your review, Craig. Johnny’s Auto service strives to have the best customer service in the business, we are so glad you were happy, Mariya! The best auto repair in West Covina goes beyond great auto repair and service. It’s down to caring about our customers like we are dealing with our own vehicle. We are in it with you for life! Meaning, when we start to see the auto repair become more than the vehicle is worth, we will let you know. If you want our opinion if it is time to get a new car or not, we’ll help! 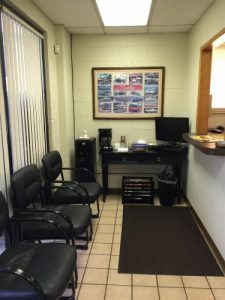 Johnny’s Auto Service is known for its honesty and reliability. We are here for you for all your car needs, auto repair and service. Your vehicle doesn’t have to be at the shop if you have questions you’d like answered. Just give us a call anytime. To schedule an appointment today give us a call or schedule an appointment online through our “request an appointment” portal.